Not counting the non-enforced southern border and the hordes of new and lawless Democrat citizens who demand their fair share of the American dream now turned into a welfare nightmare, the national debt is most likely to sink the economy sooner than any other variable and that includes climate change that has been changing for millennia. Rubin asserts that, since the “scientific community is all but unanimous in its agreement that climate change is a serious threat,” we have to include climate change risks in economic policy, fiscal and business decisions, even though we cannot define climate change risks with precision. He cites a Gallup poll (we know how accurate opinion polls are) that nearly “60 percent of Americans believe that global warming is caused by human activity.” We’ve had 17 years of record cold temperatures and an unusually cold and late spring and summer. Every time progressives have met somewhere to hold a global warming protest or conference, Mother Nature rewarded them with blizzards and snow storms. Since the coastal areas are not underwater as Al Gore has predicted due to the melting of the polar ice caps, progressives have modified their talking points from global warming to climate change. “The buildup of greenhouse gases is cumulative and irreversible.” Even though we’ve had record ice this year, Secretary Rubin repeats the environmentalists’ fallacious statement that “the melting polar ice sheets will cause sea levels to rise.” Did he learn in school why melting ice cubes in a glass does not cause the water to spill over? The discussion, he said, has been incorrectly concentrated on the trade-off between environmental protection and economic prosperity. Instead, the discussion should be focused on the “cost of inaction.” Inaction is an exaggeration since every agency of the federal government has been ordered to adopt a climate change platform and the EPA has been busy forcing many coal powered plants to close due to their inability to comply with the draconian new rules imposed by the EPA. Rubin believes that the long term cost of inaction is much greater than the cost of action. We are spending a lot of money on a healthy patient on the assumption that, at some point, this patient might get the plague. A bipartisan effort (It must be good since it’s bipartisan) is measuring the economic risks of unchecked climate change in the U.S. Are we now so powerful that we can keep the climate in check? The report named “Risky Business,” was released in June 2014 under the co-chairmanship of the former Mayor of New York, Michael Bloomberg. Apparently agriculture, energy, coastal property sectors, public health, and labor productivity will be significantly harmed by climate change by 2050. We cannot accurately predict the weather a week in advance, or where the tornado will decide to touch down, but we can now predict and manipulate climate change? Maybe we can with cloud seeding. How do we mitigate the damage from a potential super storm or an erupting volcano? Why mitigate just potential super storm costs? Because environmentalists blame CO2 (carbon emissions) on human activity and they want to tax it. 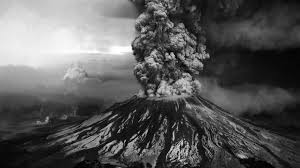 They certainly cannot tax a volcano spewing ash into the atmosphere or under sea volcanos that release lava and gases constantly, possibly accounting for the acidification of sea water. Perhaps we should recall that unemployment is already at a very steep 18 percent, not the rosy and inaccurate MSM reporting of a constantly dropping unemployment rate (due to a larger and larger contingent of discouraged workers who gave up looking for work and are thus no longer counted, but receive unemployment or welfare), GDP has been negative in the last quarter, and measured temperatures around the globe have been cooler in the last 17 years. 1. “Future federal spending to deal with climate change is likely to be enormous and should be included in fiscal projections” (the spending is already enormous, to the tune of trillions of dollars during this regime); costs must be covered either by increasing the deficit, raising taxes (Democrats’ favorite playbook), cutting spending on defense (they’re going that), cutting our social safety net (the safety net no longer exists due to government out of control spending and welfare largesse to evil dictatorships around the world), and cutting public investment in infrastructure, education, and basic research. Where did the stimulus billions go that were supposed to build and fix roads and bridges? Former SEC chairwoman Mary Shapiro wants to encourage businesses to make such reporting mandatory in their quarterly disclosures. If not, SEC, the Wall Street regulator, should mandate such disclosures. If climate-related risks are exposed, companies would be forced to change their polluting behavior. 3. GDP is not a good measure of our economy because it does not include negative externalities resulting from climate change. Rubin proposes a parallel GDP that reflects the impact of greenhouse gas emissions. Tax the companies for the damage resulting from their emissions involved in producing goods and services and then pass the cost onto hapless consumers who need the goods and services to survive. Suddenly we are faced with the never-before proposed scenario “to protect our economy by protecting the environment” or “allowing environmental havoc to create economic havoc.” The economy is “risky business” but it is even riskier when environmentalists are driving the debate of an economy to reflect the world as the globalists plan it to be. This entry was posted in Climate change, Uncategorized by Admin. Bookmark the permalink.